My Phobias Are More Ridiculous Than Yours. No, Shut Up. It’s Not Even a Contest. Me in my head, when I’m not hiding under a blanket, quivering in fear. I had to write an opinion article this week for the first time ever. I was dismayed to discover that all of my opinions are approximately 40 words long and they almost all stem from irrational fears I have. I’m actually getting over this one, since I had to work in a humid city this summer and people in my fifth floor office started noticing every time I’d run an errand and return drenched in my own sweat. I’m getting there, but I’m not there yet. I blame Disney World’s Tower of Terror, which is pretty much an exercise in scarring children for life. I just don’t like the idea of being hoisted in a small, enclosed space up a shaft like the one Hannibal Lecter once used to store a dead body. Everyone always tells me that if the elevator starts to plummet, you’re either supposed to jump up in the air right before you hit the bottom to minimize impact, or lie down on the ground so your femurs don’t decide to suddenly occupy your ribcage. How are you supposed to know when you’re about to hit the bottom of the elevator shaft in order to jump in time? Does the failing elevator use its final moments to dutifully ding as you pass different floors? Somehow I doubt it. No one can ever agree on which is the right way to do it, and since those strategies are so different, I think it’s wisest to just stay out of elevators altogether. Edit: I read the section about elevators in THIS article, and it doesn’t make me feel any better. In fact, now I’m a little scared of stairs, too. I’ll just live on the ground floor of buildings forever. I think my fear of snakes is probably the girliest thing about me. I’d like to think it makes me like Indiana Jones, but it doesn’t. 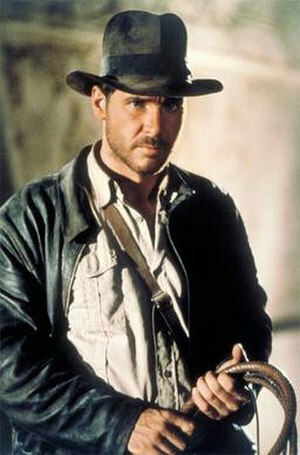 (Apparently, neither does my Indiana Jones hat. Maybe I need the whole outfit?) I don’t understand how anyone could own a snake and be cool with it sleeping in the same house. Sometimes I imagine a snake hanging out in the corner of my room and I freak out. If there was a snake on my floor right now, I would start typing words like “aghaidyogf dhSNAKEakdniggykhgs”, and then I would jump on my bed and scream a bunch of times. I’d do that even if it was the size of an earthworm, which actually would somehow make it more creepy. Who do you call in a snake emergency? I assume it’s Samuel L. Jackson, but I don’t have his number. If you do, please let me know immediately, just in case I ever have a snake problem. It’s ok if he only specializes in snakes on planes, because I’d like a contingency plan for that possibility as well. This one actually stems from a childhood trauma. (Recognizing that horrible things can happen to children, I use the word “trauma” in the loosest sense.) When I was four or five, my dad and I were standing outside a cafeteria with a bunch of elderly people, waiting for dinner. Being four or five, I was not sitting quietly in one place, being seen and not heard. I was doing something ridiculous like eating a snail or trying to see how many frogs I could stuff into my dress. When the doors opened, I reached up to grab my dad’s hand so I wouldn’t get trampled by hundreds of hungry senior citizens. I’m still kind of confused about what happened next. All of the sudden, my hand was wrapped around this terrifying old lady’s and she was awkwardly trying to hand me back to my dad, or possibly trying to eat me. My dad laughed and said something like, “I guess she just needed to hold someone’s hand”, and I’m still upset about that to this day, because I clearly did not. The moral of the story is: that old lady could have easily walked off with me and eaten me instead of her cafeteria dinner, all because I was a dumb baby. Now I’m afraid to walk next to the children’s play areas in malls because there are always at least 10 toddlers running around, not being watched by their parents. I am absolutely terrified that one of those children is going to grab onto my hand and walk away from the play area with me. Even worse, what if they grab onto my shopping bag or an article of clothing and I don’t even notice until I’m several stores away? At that point, what do you do? You can’t go back to the playground to say, “Oops. I accidentally stole your child.” Parents aren’t known for being the most lenient people in the world when it comes to mistakes like kidnapping their babies. Do you take it to the front desk of the store you’re in and say, “Uhh… I think I took this by mistake”? Do you just leave the child where you discovered it, because if you’re lost you’re always supposed to stay in one place? What if you don’t discover it until you’re in your car? I recognize that this sounds implausible, and my phobias only get sillier after this, but nevertheless, this fear has driven me from crowded areas and makes me stand as far away as possible from children of a certain age at all times. This is something I think about way too much. Sometimes while I’m in the shower, I convince myself a gang of psychopaths has broken into my home to murder my roommates. Of course, I wouldn’t be able to hear their screams over the noise of the shower! I don’t know why I think psychopaths are coming, but it’s not like they need a reason– they’re pyscho. I also don’t know why I’m not scared that the psychopaths will take a page from Hitchcock and stab me in the shower. It’s simply not a concern of mine. I am concerned that when I get out of the shower, the psychos will be lying in wait for me, knowing that I’m also home and that I also need to be killed dead. When they jump out at me, I will be naked except for a towel, and that sounds like the absolute worse scenario to me. I can’t fight anyone while I’m naked. It would be ridiculous. I probably can’t fight anyone, period, but the naked thing would make me feel that much more vulnerable. The psychopaths would have a distinct advantage, especially since the only weapon I’d have would be my towel, and I’m not very good at the locker room whippy thing that jocks do in movies. Maybe I could strangle or suffocate someone with it but I’d be useless against an entire gang of psychopaths, and even if I managed to do that, I would still be naked. It sounds like an awful situation, and I want no part of it. I know how it sounds. I think it’s dumb, too, but this is what the internet has done to me. This article (don’t worry, I picked one without pictures) details the story of Dede Koswara, the Indonesian tree man. I was fooling around online one night and discovered Dede’s story, along with some pictures of his condition. I have never been the same. Dede sounds like a fairy tale, but not the nice Disney kind. He’s like a victim of a horrifying Brothers Grimm story. He was a construction worker who sustained a lesion on his leg when he was a kid. The cut became infected with human papillomavirus (HPV), which normally causes the people who have it to develop warts. Dede, however, has an immune deficiency that let the virus go nuts. His skin is covered in warts that look exactly like bark and he was starting to grow BRANCH-LIKE protuberances. That’s not a joke or an exaggeration. The dude is growing branches. Some American dermatologists saw his picture on the internet and they’re trying to help him, but the virus keeps coming back with a vengeance. Don’t Google his picture. I know it’s tempting, but if you value your sleep, don’t Google him. I’ve never been more afraid of anything in my life. I got the shot that’s supposed to prevent HPV and cervical cancer, but what if I have a heretofore undiagnosed immune deficiency? What if I get it anyway? What if I turn into a tree? I can’t think about this anymore. I have to go hide in a bubble, away from viruses, snakes, elevators, and children. I should have heeded your warning. I Googled “Dede Koswara” despite your warning! I hate the parts of fruits and vegetables that have the little stickers on them. When you wash them, they get really gross and leech all kinds of bad things into your produce. At least, that’s the irrational fear. I actually pass out at all three of these things. I guess this one is okay, but a lot of people look at you funny when you talk about it a lot. Shhhhtoopid phone…however you sPELL that place). Wauhillau. If you were Hawaiian, you’d pronounce it Waah-oo-hill-ah-oo, which would be funny. Also, that snake was so big it looked fake, so can you blame me for a crippling fear? I sat down on a log next to a Copperhead the next summer, and accidentally went swimming with a Water Moccasin a few years before that, so I have a long history of being terrified of snakes there. Aren’t you supposed to be in school, my brother… who is Andrew? and why are you just now reading this thing? Google “trypophobia.” That’s mine and I think it’s the weirdest phobia ever. The worst part is that when you google it, the images that pop up are all things with holes. That’s messed up, Google. Yikes! I cannot thank you enough for making me aware that I now need to add “turning into a tree” to the growing list of maladies I need to fear. Love the blog! ughh I’m scared of turning into a tree now. I hope that poor guy’s going to be alright.